Meniscal Injury and Knee Pain | Podiatry Associates, P.C. A couch without its cushions isn’t very comfortable, is it? Well, neither is a knee! The tough and rubbery C-shaped piece of cartilage, called meniscus, is what cushions your knee joint and keeps it stable. Menisci are basically shock absorbers between the three bones that form your joint: The femur (thighbone), tibia (shinbone), and patella (knee cap). If these cushion-providing cartilages get damaged, it can result in extreme discomfort, instability, pain, stiffness, and decreased mobility. Meniscal tears usually occur as a result of sports. Twisting and turning quickly while the foot is still planted and the knee is bent can cause a tear, as can a sudden impact, like a tackle. Squatting to lift something heavy can do it too. Also, as you age, your menisci become worn, making them more susceptible to tearing. 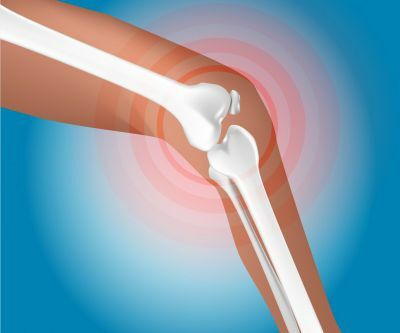 When the cartilage is weakened over time, even getting up from a chair awkwardly can result in injury. Minor—Results in slight knee pain and swelling that lasts about two to three weeks. Moderate—Can cause pain in the center and side of the knee, with swelling that increases and stiffness that reduces your range of motion. When untreated, pain can return with certain movements and overuse. Severe—Pieces of the torn cartilage can dispense into the joint space causing your knee to pop or lock up. You may not be able to straighten your knee or it may feel as though it cannot support your weight. Treatment depends on the type of tear you have, as well as your age and activity level. The location of the injury also comes into play. If the tear occurs in the outside third of the meniscus where there is an ample blood supply (the red zone), the injury could heal on its own or easily be repaired. However, the inner two-thirds of the cartilage (the white zone) lacks blood supply. Without the nutrients blood provides, the healing process is hampered and surgical procedures will be needed to mend the problem. For minor, and even moderate meniscal injuries, the RICE method should be enough to do the trick. Rest—take some time off from the activity that caused the problem. Ice—apply cold packs in 10-15 minute increments several times a day. Compression—wear an elastic bandage to keep swelling at a minimum. Elevation—recline with your leg above your heart to also reduce swelling. Anti-inflammatory medication can take the edge off of the pain as well. When pain subsides, physical therapy exercises can help you regain strength and mobility. Expect recovery to take at least a few weeks. For severe situations that do not respond to RICE, an X-ray or MRI can confirm the damage. Arthroscopic surgery may have to be performed to trim or repair the meniscus, depending on the location of the injury. Afterward, you may have to wear a cast or brace and use crutches for about a month to keep from bearing weight on the area. Physical therapy can help with rehabilitation exercises to get you on your feet and active again. If you are experiencing knee pain, it could be a meniscal tear. Be sure to have it looked at by Dr. Jennifer Molner of Castle Pines Physical Therapy and Cherry Creek Physical Therapy. She'll be able to help you do what it takes to recover. Call (303) 805-5156, contact us online, or walk into our office in Castle Pines and Cherry Creek, CO.